Fintech (financial technology) is supposed to make our lives better. You’ll hear how they want to nudge us to save more, invest better, spread risk, and lower costs. But if you look a little deeper, another thing many want to make easier is debt. One might view fin-tech as a tool that provides convenience, but one that also has the potential to improve personal finance decisions and behavior. It could then promote better personal finance outcomes. But the dynamic is more complex and nuanced, especially when viewed at the level of separate fin-tech activities. Millennials are 40% more likely to overdraw their checking accounts if they use mobile payments. Budgeting tools don’t help either. Millennials who use their mobile devices to track their spending are 25% more likely to overdraw their checking account. Everyone wants to lend you money, from Goldman Sachs to the mall kiosk cashier. Goldman Sachs started a new high-yield savings account and renamed it Marcus. Many people found it prestigious to “have an account” at Goldman Sachs. But really, that savings account only exists so that Marcus has a cheap source of funds to offer personal loans online at up to 25% APR. A Marcus smartphone app is coming soon. SoFi and every other popular student-loan refinance company is expanding to consumer loans as well. 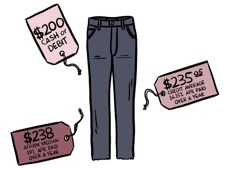 Micro-loan companies like Affirm will let you put a $100 pair of jeans on a monthly payment plan. Margin is something that short-term traders use in order to increase their buying power temporarily. Long-term investors have little to no use for margin since the interest rates will eat up returns. But at least they’d be buying a productive asset if they bought stocks. Here’s why using margin loans to buy a car or smartphone is a bad idea. First, your interest rate at Ally Invest starts at 9.50% APR and isn’t fixed. So it’s not like you’re getting some awesome rate. 10%-15% APR is as high as credit card interest. Second, this is a collateralized loan backed by your stock holdings. If you don’t pay it back, you don’t just get a ding on your credit score like with a credit card. They sell your stocks and take the money. A home-equity loan is backed by your house, but at least your interest rates are low. Even worse, if the market value of your portfolio drops enough (something not under your control), your broker will issue a margin call. If you don’t pay up immediately, they will forcibly sell your stocks at that low price to pay off your loan. Bottom line. Fintech may be new, but some things never change. There will always be people selling you things you don’t absolutely need, and now it will be easier than ever to go into debt to buy those things. Be on the lookout for wolves dressed in slick smartphone apps. Big Picture: Is Compounding Growth Working For or Against You? Even out of the half of Americans with some amount of stock ownership, most of them have no idea about stock market performance. Betterment conducted a survey [pdf] asking people to estimate the US stock market performance since December 2008, and Axios made it into a nice chart. Note that all of the respondents in the Betterment survey stated they had at least $1 invested in the stock market. About half of respondents either thought the stock market dropped or stayed the same over the last 10 years. The correct answer is that the stock market is up over 200%. Only 8% of people who own stock got this right. I worry that this means that only a small percentage of people are aware of the potential power of investing in productive assets like businesses. Sure, 200% is a lot, but over 10 years it’s not an insane number. At 12% annual growth, your money doubles in 6 years and thus quadruples in 12 years. At 8% annual growth, your money doubles in 9 years and thus quadruples in 18 years. Even at 6% annual growth, your money will double in 12 years and thus quadruples in 24 years. Owning productive assets like public companies, real estate, or private business ownership gets you on the train powered by compounding exponential growth. Debt like student loans, credit card balances, even a home-equity loan for a new kitchen remodel, that’s like putting the compound interest engine in reverse. I know that it is easier said than done, but one of my favorite quotes from Mr. Money Mustache is that you should treat “debt as an emergency”. The difference between even putting a $50 into stocks a week, versus paying $50 week in interest to carry your debt each month can become the difference between having choices and the treadmill lifestyle forever. If someone realizes the power of compounding, then they are more likely to covet that rental property or share of Apple stock as much as a new BMW lease or Viking stove. I love buying new shares of VTI. It gives me a dividend gift every quarter. This appreciation is the key to the constant accumulation of productive assets and not stuff. If you don’t understand why having a fiduciary requirement matters in terms of financial advice, read this Bloomberg article about student-loan servicer Navient. Learn about the sad behavior of a company that services the student loans of over 12 million people. At Navient, our priority is to help each of our 12 million customers successfully manage their loans in a way that works for their individual circumstances. Helping our customers navigate the path to financial success is everything we stand for. In January, the CFPB sued Navient in a Pennsylvania federal court, alleging the company “systematically” cheated student debtors by taking shortcuts to minimize its own costs. Navient illegally steered struggling borrowers facing long-term hardship into payment plans that temporarily postponed bills, the government alleged, rather than helping them enroll in plans that cap payments relative to their earnings. Why? Because Navient makes more money when you apply for temporary forberance as opposed to income-based repayment. From January 2010 to March 2015, the company added up to $4 billion in interest charges to the principal balances of borrowers who were enrolled in multiple, consecutive forbearances. The Bureau believes that a large portion of these charges could have been avoided had Navient followed the law. Borrowers can’t reasonably rely on America’s largest student loan servicer to counsel them about their many options, Navient said on March 24 in a motion to dismiss the case, because its primary role is, after all, to collect their payments. “There is no expectation that the servicer will act in the interest of the consumer,” Navient said in response to the litigation filed Jan. 18 by the U.S. Consumer Financial Protection Bureau. Navient does not have a fiduciary duty to the borrower. As a result, even if Navient says they will act in your interest, they don’t have to actually act in your interest. This is an important lesson. If you have student loan debt, don’t trust your servicer. Apparently, their advice is (allowed to be?) heavily biased. Do your own research on student loan repayment options. There are many options that cap your payments based on income and some even include debt forgiveness options. In terms of the bigger picture, don’t blindly trust anything in the financial industry. If they want your money and they aren’t a fiduciary then they have no legal requirement to act in your best interest. They can sell you horrible things and it is perfectly legal. 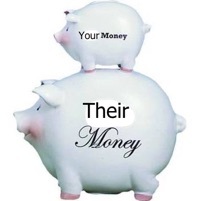 If I was ever to let anyone else manage my hard-earned money, it would have to be in a fiduciary relationship. That’s just a minimum to even be considered. New Year’s Checklists: What Is Your Financial Priority List? Updated for 2017. You’ve worked hard and you have some money to put away for your future self. What should you do with your money? There is no definitive list, but each person can create their own with common components. You may also want to revisit it again every year. Invest in your 401(k) or similar plan up until any match. Company matches typically offer you 50 cents to a dollar for each dollar that you contribute yourself, up to a certain amount. Add in the tax deferral benefits, and it adds up to a great deal. Estimated annual return: 25% to 100%. Even if you are unable to anything else in this list, try to do this one as it can also serve as an “emergency” emergency fund. Pay down your high-interest debt (credit cards, personal loans, car loans). If you pay down a loan at 12% interest, that’s the same as earning a 12% return on your money and higher than the average historical stock market return. Estimated annual return: 10-20%. Create an emergency fund with at least 3 months of expenses. It can be difficult, but I’ve tried to describe the high potential value of an emergency fund. For example, a bank overdraft or late payment penalty can be much higher than 10% of the original bill. Estimated return: Varies. 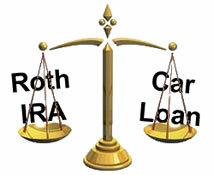 Fund your Traditional or Roth IRA up to the maximum allowed. You can invest in stocks or bonds at any brokerage firm, and the tax advantages let you keep more of your money. Estimated annual return: 8%. Even if you think you are ineligible due to income limits, you can contribute to a non-deductible Traditional IRA and then roll it over to a Roth (aka Backdoor Roth IRA). Continue funding your 401(k) or similar to the maximum allowed. There are both Traditional and Roth 401(k) options now, although your investment options may be limited as long as you are with that employer. Estimated annual return: 8%. Save towards a house down payment. This is another harder one to quantify. Buying a house is partially a lifestyle choice, but if you don’t move too often and pay off that mortgage, you’ll have lower expenses afterward. Estimated return: Qualify of life + imputed rent. where your contributions can be invested in mutual funds and grow tax-deferred for decades with tax-free withdrawals when used towards eligible health expenses. Invest money in taxable accounts. Sure you’ll have to pay taxes, but if you invest efficiently then long-term capital gains rates aren’t too bad. Estimated annual return: 6%. Pay down any other lower-interest debt (2% car loans, educational loans, mortgage debt). There are some forms of lower-interest and/or tax-deductible debt that can be lower priority, but must still be addressed. Estimated annual return: 2-6%. Save for your children’s education. You should take care of your own retirement before paying off your children’s tuition. There are many ways to fund an education, but it’s harder to get your kids to fund your retirement. 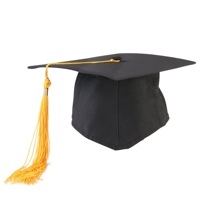 529 plans are one option if you are lucky enough to have reached this step. Estimated return: Depends. I wasn’t sure where to put this, but you should also make sure you have adequate insurance (health, disability, and term life insurance if you have dependents). The goal of most optional insurance is to cover catastrophic events, so ideally you’ll pay a small amount and hope to never make a claim. Secret Shame: Will We Ever Talk Openly About Money? The Fed asked respondents how they would pay for a $400 emergency. The answer: 47 percent of respondents said that either they would cover the expense by borrowing or selling something, or they would not be able to come up with the $400 at all. Four hundred dollars! Who knew? Well, I knew. I knew because I am in that 47 percent. The essay has definitely hit a nerve, with over 3,000 comments, a handful of formal reader letters, and several financial experts all weighing in with their responses. As someone who used to openly share his net worth, I have to give Mr. Gabler credit for candidly sharing about his financial “impotence”. Most people would rather undergo a root canal than share intimate details about their financial insecurities. I also recommending reading this Esquire piece: 4 Men with 4 Very Different Incomes Open Up About the Lives They Can Afford – From a father on the poverty line to a CEO millionaire. 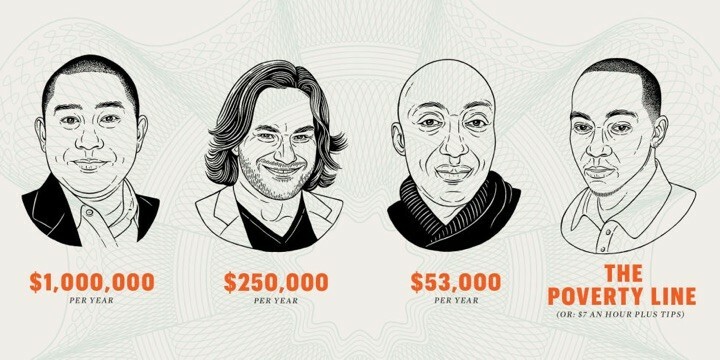 It is interesting to note that despite the disparity in both their current and desired future incomes, all four men are both mostly happy and plan on working into their 60s or longer. You can see why people choose silence, as it is an exquisite sort of pain to have strangers publicly break down all of your mistakes and diagnose your underlying personal failings. But I think more discussion is exactly what we need, not less. Hopefully despite the judgment, Mr. Gabler will eventually be better off for it. We need to talk it out, share both our struggles and solutions, and face up to the problems instead of just hiding it and hoping it magically goes away. Let’s put away the snarky internet comments and try a civil discussion with empathy and detail. I’d like that a lot more than reading another article about disappearing pensions or debt statistics. When I was a senior in high school, I still remember my parents offering me a new luxury car instead of tuition assistance. Although I’m pretty sure it was only a test, it did serve to remind me of the cost of tuition and not to waste it. Seeing the average student debt of graduates is now over $30k, I wanted to see how the price of a new car and student debt tracked. These are the best charts that I could fine. It is hard to equate the two values because student debt is just the amount left over after the parent (usually) pays as much as they can while the student is in school. 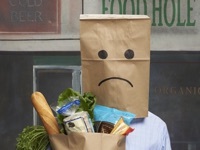 However, this USA Today article suggests that since 2010 parents on average have been paying less. Five years ago, only half of families reported using grants and scholarships to pay for college. This year, two-thirds of families did, the study shows. […] Meanwhile, parents are contributing less of their income and savings toward college costs, covering 27% of college costs compared with 37% in 2010, the study shows. At the same time, other reports show that for parents with top 20% incomes, education spending has nearly doubled as a share of their total budget. 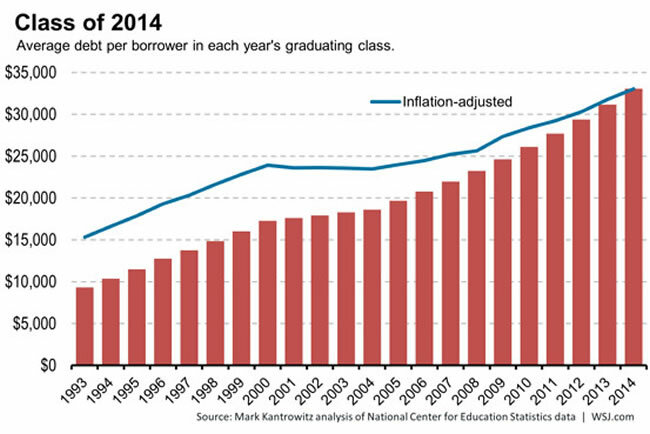 Average student debt is definitely growing faster than new car price. But in terms of total size, it is still comparable to the cost of a new car. 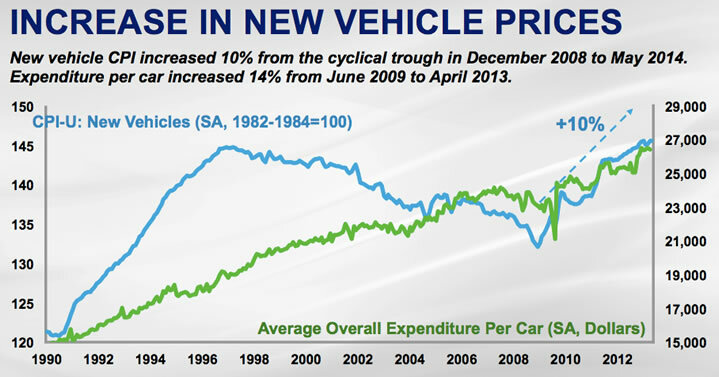 People finance new cars all the time. Does that make student loans less scary? I don’t know, because financing a new car has always scared me a lot too. Quizzle.com is a website that offers a free credit score and your official Equifax credit report every six months. You can now monitor your credit scores from all three credit bureaus for free. It has been six months for me, so I just grabbed my 2nd credit report of 2014 and took the opportunity to provide a brief review of this service. Your free Equifax report lists all your credit lines including credit cards and other loans, recent credit inquiries, public records, and other personal information. This is the same report that you would get if you bought one from Equifax directly or got your free government-mandated one from AnnualCreditReport.com. Get your timing right and that is three free Equifax credit reports a year. 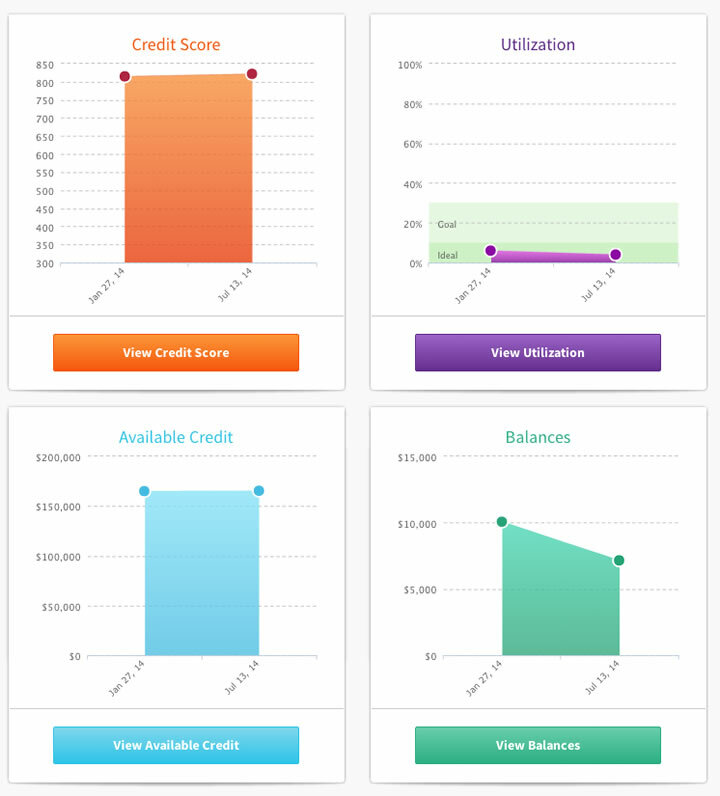 Quizzle features the VantageScore credit score. The VantageScore credit score is used by thousands of lenders, including the nation’s largest banks, in their credit card, auto lending and mortgage businesses. Yes, it is really free. No purchase or credit card required. No trial subscriptions either. There is no effect on your credit score because you are checking your own credit. It is a soft pull, not a hard pull. You will see advertising of various financing offers based on your information (mortgage, auto loans, credit cards, personal loans). As part of Quicken Loans, so they will likely pitch you for a mortgage. However, they state that they don’t sell your information to others. Free 24/7 credit monitoring of my Experian account was also offered to me. I am not sure if this was targeted only to select users as I had to opt in, but it was clearly marked as free. I just signed up for this so I haven’t gotten a chance to see how it works. Paid upgrade options. Quizzle Pro gets you monthly Equifax credit reports and scores for $8-$11 a month. The pricing appears to be customized for each user. Quizzle Pro+ gets you all that plus $1,000,000 in Identity Theft Protection and 24/7 Victim Assistance for around $18 a month. I did not purchase either option. The site states you can get a free report and score every 6 months (180 days), but I was able to get mine after just 168 days (I didn’t try every day, I just remembered today and it worked… shrug). I checked on January 27, 2014 and again on July 13, 2014. It would be more competitive with other sites if they could start offering score updates every month and keep the reports every 6 months. Prior to early 2014, Quizzle used to give out Experian-based credit scores twice a year, but Credit Sesame already gave Experian-based scores for free every month so it wasn’t very appealing. The change to Equifax was a welcome one. Offer is back! Person-to-person loan site Prosper.com is having a another one-day promotion for borrowers who submit their loan listing on Friday, February 17th where they will actually make your entire 2nd loan payment (principal and interest) for you, up to $300. * To be eligible for the offer, you (i) must post a loan listing on Prosper.com between 12:00 am PT and 11:59 pm PT on February 17, 2012; (ii) have to reach Verification Stage 3 within 1 week of posting the loan listing; (iii) cannot have posted a loan listing on Prosper.com within the past 30 days; and (iv) may not withdraw your loan listing. If you meet these criteria, Prosper will credit your second required loan payment up to $300. The credit will be posted to your account within 30 days of Prosper receiving your first payment. This promotion cannot be combined with any other promotional offer from Prosper. Getting a rate quote is free, as their “soft pull” will not affect your credit score. If your loan does not find enough lenders to fund, then you can walk away with no obligation. If you do end up taking out a loan, then it will show up on your credit report. There are several ways you can use this offer. The quick loan for profit. If you have an excellent credit score, you can get the AA loan rate of 5.65% for 1 year. Even if you don’t need it, take out a loan for about $3,500, and you would end up with a monthly payment of around $300. Your closing fee would be 0.5%, or $17.50. Your interest for a month at 5.65% would be less than $20. There is no pre-payment penalty, and your second payment is covered at $300. Just pay back the money they lent you after two months, and you’d be looking at over $250 in profit. You don’t need to risk any capital, just pay back the money they lend you and keep the profit. Decide quickly! Get your own rate quote at Prosper here. Investor opportunity. As a result of the math above, there will be a mysterious surge in listings from AA borrowers for $3,500 loans today. If you like, you can invest in these notes today and tomorrow and earn some decent 4-5% interest for at least a couple months. Yes, there is still risk involved but my view is that people with AA credit scores are unlikely to default over only $3,500. I did this last time around, but didn’t have much money in my Prosper account. Sadly, still true this time. Just don’t be surprised if all your loans end up being paid off early! Lowering your effective interest rate. If you don’t have an AA loan rating, you can use the free payment to lower your effective interest rate, especially if you pay off the loan early. For a $3,500 loan I got an A rating which meant either a 1-year loan at 6.08% or a 3-year loan at 9.99%. Your closing fee is 3.95% for A & B loans, which for a $3,500 loan that’s $138.25. So the free 2nd payment of up to $300 can knock that out completely and you can use the rest of the money to cover most of the first year’s interest. Bonus credit score. After getting the free rate quote, I was actually sent my credit score of 776 based on my Experian credit report. Prosper uses the Experian ScoreX Plus credit score, which has a range of 300 to 900. FICO range is 300 to 850. I assume this is due to new consumer laws that require them to send me my score if I’m not given the absolute best rate available. Not a bad side perk. Another new website, Credit Sesame, now offers you free credit scores and updates based on your Experian credit report. No credit card required, no trial required. This is not a real FICO score, but an estimate of the FICO formula that uses the same range of 300-850. To avoid repeating myself too much, you can learn more about FICO vs. FAKO credit scores here. The sign-up process was quick and relatively painless. They ask you for your home address and household income, but this is primarily to see if they can save you money on a mortgage refinance. (This is one way they make money.) You’ll also need to answer three questions based on your Experian credit report data to verify your identity. To get your credit score, you will need to give them your Social Security number. You’ll have to decide for yourself if you feel comfortable doing this. They do claim all of the usual security measures, including 128-bit SSL encryption, password encoding, and working with Experian to test their systems. They also do not sell personal information, but will use it to target potential offers to you. The information that you provide – including name, date of birth, email, real estate ownership, home address, social security, and any information about your finances (income, assets, debt, credit) – is not sold to third parties. Why the big difference? After some research, I finally remembered why my Experian score may be lower. Over 2 years ago, I found out my old library sent me to collections over a $40 overdue book that I returned. This annoying ding only shows up on my Experian report. To be honest, I haven’t bothered to dispute it because now live in another state and I’ve been approved for every single credit card since finding out. Another reason is that when you apply for a credit card, they usually only check one out of the three bureaus (Experian, Equifax, TransUnion). This brings up the primary benefit of these free FAKO scores. Having three independent credit bureaus means we all have three different credit scores. These regular updates can show you the effects if different bureaus have different data. They are also handy for checking if there is a big change in your credit score, including someone using your identity or simply an erroneous debt assigned to your name. You can use CreditSesame for Experian, CreditKarma for TransUnion, and Equifax Score Card for Equifax. All free.